Travel can lower your immune systems, leaving you susceptible to colds and other illnesses. No matter how healthy you are, travel takes a toll on your well-being. In many ways, going on a trip is the perfect storm of unhealthy factors. To start, your body experiences a lot of stress when it's out of its usual environment. This causes your immune system to be weaken, which might not be a problem if you weren't being exposed to lots of germs from all the people traveling around you. If you're flying to your destination, those germs are in much higher concentrations than they are in your day-to-day life. Add to that the dehydrating effect of air travel, and the trip out alone can be enough to leave you under the weather. Once you've arrived, there's still the matter of disruption to your routine. Whatever healthy food and exercise habits you have at home often go out the window when faced with the rushed schedules and frequent restaurant meals. 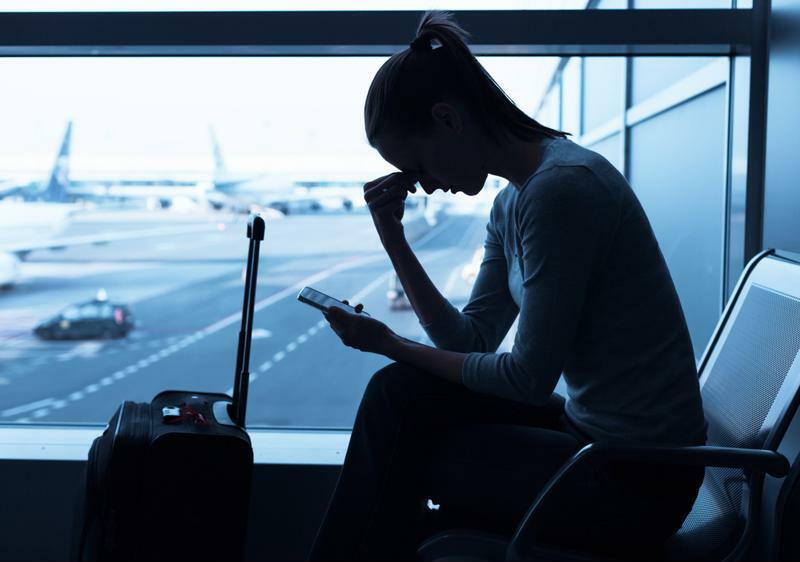 Although this break in the habit may only last the duration of the trip, many people find it hard to get back into their healthy routine once they get back home – possibly because they also caught a cold or stomach bug on the flight home and don't feel up to it. All of these factors add up to one conclusion: Traveling is rough on your body. For those who frequently head out for businesses travel, finding ways to keep your system in top shape is crucial. Airplanes and airports can be sources of viruses and bacteria that make you feel terrible. One of the best things you can do when you're traveling is spend the weeks before your trip making your immune system as strong as possible. According to Harvard Health Publications, boosting your immune system is all about making healthy lifestyle choices. A balanced diet, lots of water and regular sleep can do wonders for your ability to fight off infection. Obviously you should strive to have these habits all the time, but really focus on following health guidelines starting at least two weeks before your trip. If you're flying, spend five or so days before you leave making sure you're well-hydrated. The air on flights is much dryer than regular air, which means many people leave their flights dehydrated. By drinking lots of water before, during and after your flight, you might be able to avoid post-flight headaches or sinus issues. Plus, staying hydrated is one of the keys to keeping your immune system in top shape, which means you're less likely to pick up a bug on the flight. Speaking of planes and germs, it's a good idea to bring sanitizing wipes and hand sanitizer with you on the flight. Lots of passengers all touching the same surfaces means that there's a high concentration of harmful bacteria and viruses on planes. Wiping your tray table and giving your hands a quick run over with sanitizer might stop you from picking up something nasty in the air. "Make an effort to stay active on your trip." If you already have good nutrition and exercise habits, work to hold on to them while you're on your trip. It's going to be difficult, since your schedule is disrupted. Habits are based around what we're used to every day, so when you're traveling, you can't rely on them to get you to the gym. Instead, you'll have to actively get yourself to exercise according to your normal schedule. Even though you're in a different place, try to stick to working out at roughly the same times. If you have to get up a little earlier to still run first thing in the morning, make it happen. Whatever you can bring with you from your usual routine will make the whole process a lot easier. As far as food is concerned, staying healthy often requires a bit of preparation. Assume something will go wrong, and you'll be stranded in an airport for hours with only fast food to sustain you. Keep some healthy snacks or small meals in your carry-on, like dried fruits or energy bars you can turn to in that kind of situation. You can also use these throughout your trip any time the food options are less-than-stellar. Try to visit a grocery store near your hotel to stock up on produce or other healthy food options. When eating out, opt for the more nutritious menu options. Of course, if you want to have a cheeseburger for dinner one night, go for it. Just try to make sure the majority of your meals are good for your body. Sticking to mostly healthy choices while you're on your trip will ensure you're productive and creative while you're away and healthy enough to dive back in once you arrive back home.